Are you considering a break in Cornwall this summer but are yet to book? 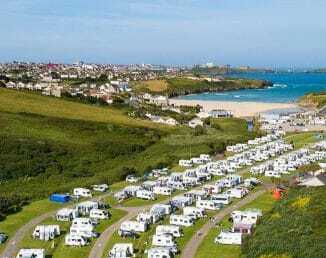 For a last minute holiday in Cornwall in August choose a stay at Porth Beach Holiday Park! We’ve still got some units available this summer – and all outstanding value for money, meaning your holiday budget can stretch that little bit further. Whatever your holiday budget there’s something for you at Porth Beach. We’ve got a range of accommodation options for your last minute summer getaway. Choose from a stay in our luxury holiday homes this August, including our Avonmore and Avonmore Decked holiday homes. Finished to an exceptionally high standard, these holiday homes are spacious, warm and comfortable. They are finished in a contemporary style, complete with central heating, double glazing, flat screen TV and modern feature fireplace. Also available is our Rio holiday homes, which set a new standard for the industry. The are fitted out to a very high spec, including flat screen televisions, fitted kitchen, double bedroom with walk in wardrobe, twin bedroom and pull-out bed in the lounge. If you’re considering touring and camping this August then we can cater for you too! We have a range of grass and hard-standing pitches available this summer – perfect for those who prefer a spur of the moment last minute holiday in Cornwall! Pitch prices in August start from just £25 per night, with optional electric hook-ups available. As well as a stunning location near Newquay, on Cornwall’s north coast, our holiday park is also the perfect place to catch all the great local events taking place. From music festivals to agricultural shows, August is a busy month in Cornwall! Take a look at some of our favourite events that you won’t want to miss! Falmouth Week, August 5th-14th: Falmouth Week has grown into the largest sailing regatta in the south west with more than 450 yachts racing over eight days, and a lively programme of shoreside events. Boardmasters Music Festival, August 10th-14th: Taking place just up the road from our park, Boardmasters has fast become one of the biggest music festivals on the calendar and attracts thousands of people to Cornwall each summer to see some huge acts. The festival also incorporates a surfing element too, with competitions held off Fistral Beach in Newquay. Camelford Show, August 10th: A traditional agricultural show, it includes dog shows, vintage vehicle collections, displays of cattle, sheep and horses, sheep shearing displays, a heavy horse show and much more. Padstow Seafood & Beer Festival, August 13: It’s the first time this event has been held but, like most things organised by Padstonians, it’s bound to be a big success! Funds will be raised in aid of the National Lobster Hatchery. For more information on booking your last minute holiday in Cornwall this summer speak to us today on 01637 876531 or check prices and book on-line here.